Syntient is a business consulting firm dedicated to helping businesses operate more profitably. We do this by identifying opportunities for you which lie in the people side of your organization. Our name “Syntient” comes from our core beliefs that synergy comes from working mindfully (being sentient). How you do what you do is at least as important to your success as what you do. 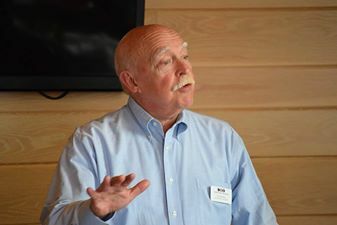 Dr. Dan’s experience includes forty years of a behavioral science background as well as thirty-five years of consulting to a wide variety of businesses- from Fortune 100 companies to main street family businesses . As a leader, developer of talent, visionary and strategic thinker, Dr. Dan is an expert in directing the work of professionals in a rigorous, collaborative, manner, while encouraging them to experience the fun of delivering the value sought by their constituents and hoped for by their staffs. This includes helping organizations build and then leverage their financial, human, and intellectual capital. His deep understanding of human and organizational behavior, combined with a lengthy career in a wide variety of challenging settings, has prepared him to help people to envision the futures they wish to realize, execute the strategies required to innovate, and create the outcomes that they seek be whether on a personal, team or organizational level. His experience as a life and business coach translate that knowledge into street smart business practices. Working with us enables you to learn from us and incorporate our skills and knowledge into your organization. Only you can make you better, but we give you every opportunity to gain the practical, applicable skills and information that you need to make your business and your people better at what you do. We start all of our engagements by working with you to do a cost/benefit analysis of working with us. We assess the financial gains that can be realized with a successful engagement. If you can’t realize more long-term gain and profit, we don’t take the assignment. Business tend to accept the cost of “business as usual” often without realizing the actual dollars that are associated with the way they currently operate. We work with you or your people to do the calculations that allow you to make smart changes. Our efforts have to make sense within your business plan. Our efforts, ultimately have to increase your profits or it is not worth doing. Are you getting your money’s worth? Especially in tough economic times, the one major improvement that you can make without increasing costs is to make sure that your workforce is doing its utmost to increase profitability. You and your people can work smarter at no extra cost. We don’t let that potential profit pool go untapped. It costs less to keep a customer than to get an new one. No matter what your business, customers come back if they like the experience of doing business with you. We help you and your people to become more customer-centric. We help you to adjust processes in order to ensure customer satisfaction. Every transaction that anyone conducts in your name either increases or diminishes the value of your brand. Make sure that everyone is building your brand.